Raumfahrt+Astronomie-Blog von CENAP - Blog: Raumfahrt - Wie verhalten sich Materialien während des Wiedereintrittes ? 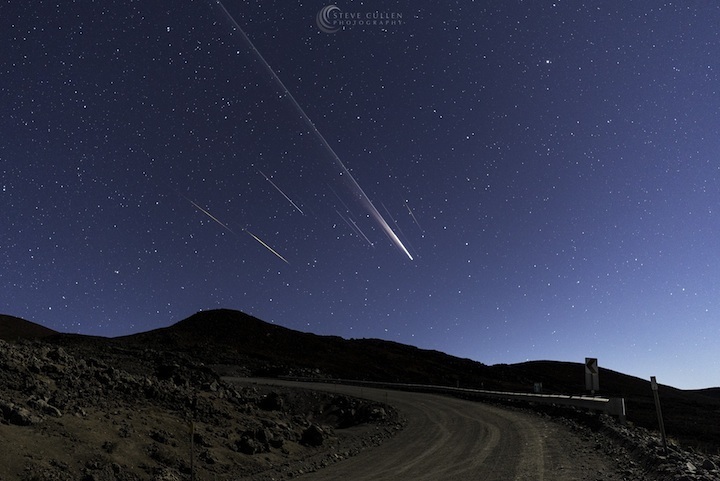 HOW DO MATERIALS BEHAVE DURING ATMOSPHERIC RE-ENTRY? Since March 2014, all ESA satellites and launcher upper stages which will be disposed of by atmospheric re-entry at the end of their operational life must demonstrate that the risk from fragments surviving the re-entry and causing casualties on ground is less than 1 in 10,000. The number and the characteristics of fragments (e.g. kinetic energy and size) drive the casualty risk. Copyrights: Steve Cullen Photography (www.stevecullenphotography.com). Copyright 2016 All Rights Reserved. This casualty risk is calculated by re-entry tools simulating the uncontrolled re-entry event using a CAD (Computer Aided Design) model of the spacecraft. If the casualty risk calculated is not compliant with the requirement, a controlled re-entry of the spacecraft will have to be envisaged over a non-populated area (most often the South Pacific Ocean). The uncertainties on several parameters such as the aerothermodynamics fluxes model, the structural interfaces model, the materials model, and the level of detail of the spacecraft architecture will have an impact on the re-entry event simulation and the associated casualty risk calculations. In order to reduce the uncertainty of the materials properties (used in the re-entry simulations), the materials have to be characterized in laboratories, and analysed in PWT (Plasma Wind Tunnel) with conditions reproducing re-entry environment. This was the scope of the two TRP (Technical Research Program) contracts (see more detail below). As a complemental work, one can analyse material fragments found on ground and associate them to the spacecraft re-entry event conditions. Two Technology Research Program (TRP in 2014-2016) contracts targeting the characterisation of demisable materials have been financed through the Cleanspace initiative. Materials were selected based on their relevance for LEO (Low Earth Orbit) spacecraft and launcher upper stages and divided in five categories. Metallic materials have been widely used on LEO satellites and launchers upper stages for decades. Metallic materials with high specific stiffness, high specific strength and high corrosion and stress corrosion cracking resistance are generally used in space applications. Composites materials are widely used in spacecraft thanks to their high specific mechanical properties (specific strength and specific stiffness) and thermal stability (low Coefficient of Thermal Expansion). Composite materials are mainly applied for spacecraft structures. 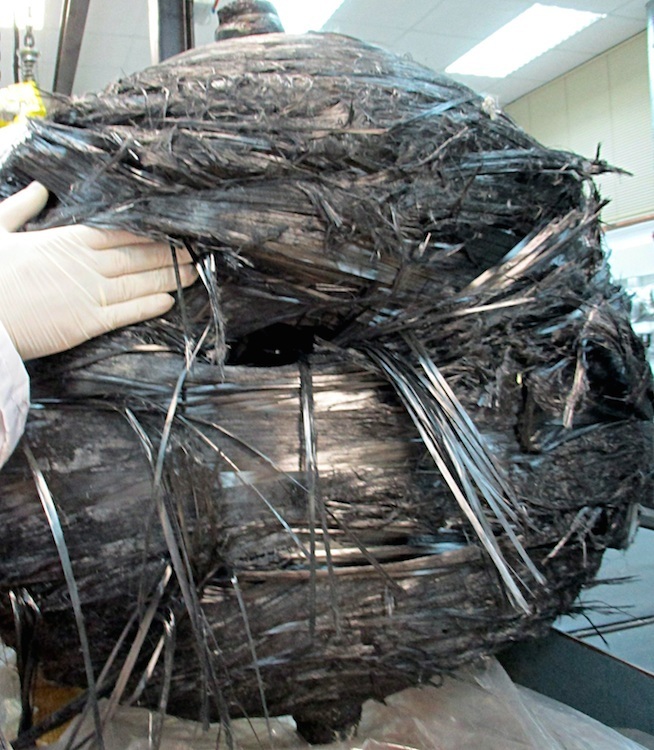 Two monolithic composites made of pre-impregnated fibers were tested during the activity: CFRP (Carbon Fibre Reinforced Polymer) epoxy matrix, CFRP cyanate ester matrix. Ceramic materials are mainly used for optical payload and propulsion applications. 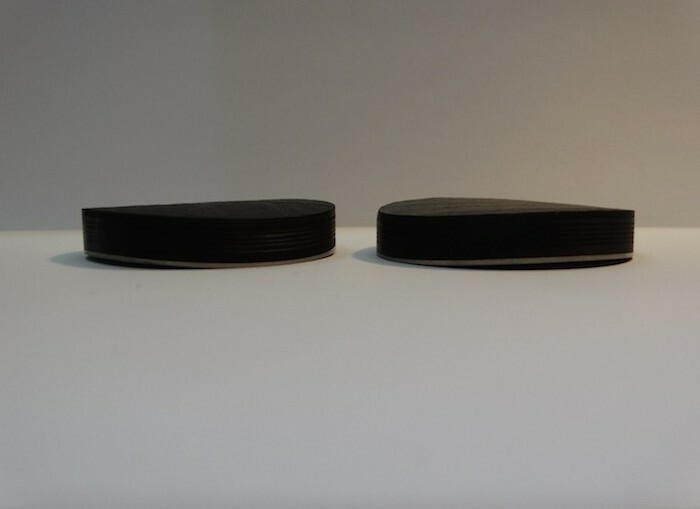 Two types of Silicon Carbide were tested during the activity. Glass materials are mainly used for optical payload applications. Material combination refers to samples made of composite and metallic materials. 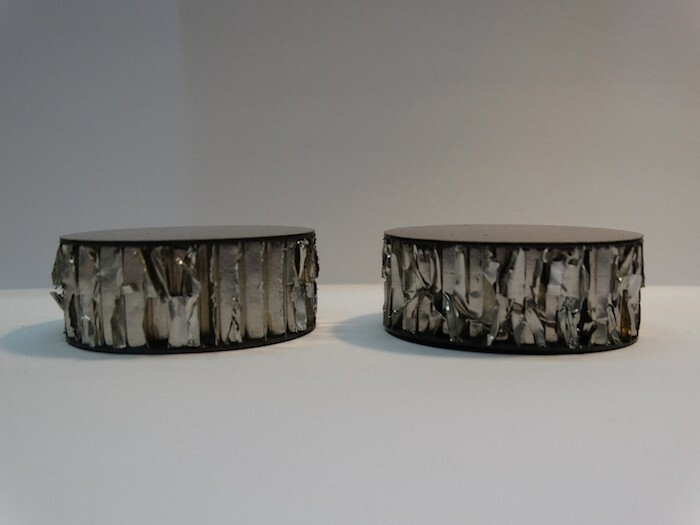 The following samples were tested: Sandwich panel with CFRP skins and Aluminium honeycomb, COPV (Composite Overwrapped Pressure Vessel) with CFRP and Titanium liner, GLARE made off glass pre-impregnated fibers and aluminium. Different properties have been investigated during the tests. The thermophysical properties of materials are direct inputs for the re-entry tools, to determine the heat transfer within the spacecraft and the failure of materials. The specific heat capacity, enthalpy of fusion, thermal expansion, density and thermal conductivity of AA7075 T7351, AISI316L, and TI6AL4V were measured with DSC (Differential Scanning Calorimeter), DTA/TG (Differential Thermal Analyser with ThermoGravimetry) a dilatometer and LFA (laser Flash Apparatus) up to the melting point of the alloys. The specific heat capacity, thermal expansion, density and thermal conductivity of SiC was measured with DSC, a dilatometer and LFA. The specific heat capacity, thermal expansion (fiber direction and orthogonal to fiber), density and thermal conductivity (fiber and orthogonal to fiber) of one CFRP/Epoxy was measured with DSC, DTA/TG a dilatometer and LFA. The emissivity of a material is temperature dependant and can vary with phase change of the material. Emissivity will be highly impacted by the surface aspect of the material and the creation of oxide layers. Spectral and Total Emissivity measurement were performed on four materials AA7075 T7351, AISI316L, TI6AL4V and SiC, virgin state and after exposure in Plasma Wind Tunnel. The spectral emissivity can be used to correct the front surface of the sample during the PWT test while the total emissivity will be used by the re-entry tools. The emissivity is not the material feature/characteristic having the biggest impact on the demise behaviour of a material. Mechanical tests were performed on AA7075 T7351, AISI316L, TI6AL4V and one CFRP epoxy matrix with constant load and increased heat flux up to failure. The two consortiums performed re-entry simulations of various spacecraft to define the most representative Plasma Wind Tunnel conditions to be used for the characterisation of the materials. The samples were submitted to the plasma flow at dedicated facilities, DLR (German Aerospace Center), IRS (Institut für Raumfahrt Systeme) and VKI (Von Karman Institute). The temperature profile of the front surface was measured using spectral pyrometer or two colour pyrometer. The temperature gradient within the samples were measured with thermocouples whenever possible or pyrometer directed to the back face of the sample. The released species were analysed with FTIR (Fourier Transform Infrared Spectrometer). The test duration was dependent of the material. After being exposed to the plasma flow, samples of AA7075 T7351, AISI316L, TI6AL4V, SiC and one CFRP epoxy were analysed using SEM (Scanning Electron Microscope), optical microscope, Hardness test. The oxide layers thickness were measured and the impact of the PWT test on the structural integrity of the samples was assessed. Metals are the more straightforward materials to be modelled in the re-entry tools as their intrinsic properties are well understood. Uncertainties associated to their emissivity and catalicity are still to be studied further. Titanium and steel alloys showed great resistance to PWT tests even at peak heat flux conditions (1.2-1.4MW/m²) and strong oxide layers were formed on both materials. Aluminium alloys showed a better demise behaviour at tumble averaged conditions and peak heat flux conditions. The demise behaviour observed for AA7075 where Zinc is the main alloying element was slightly different than AlLi2099 where Lithium is the main alloying element. 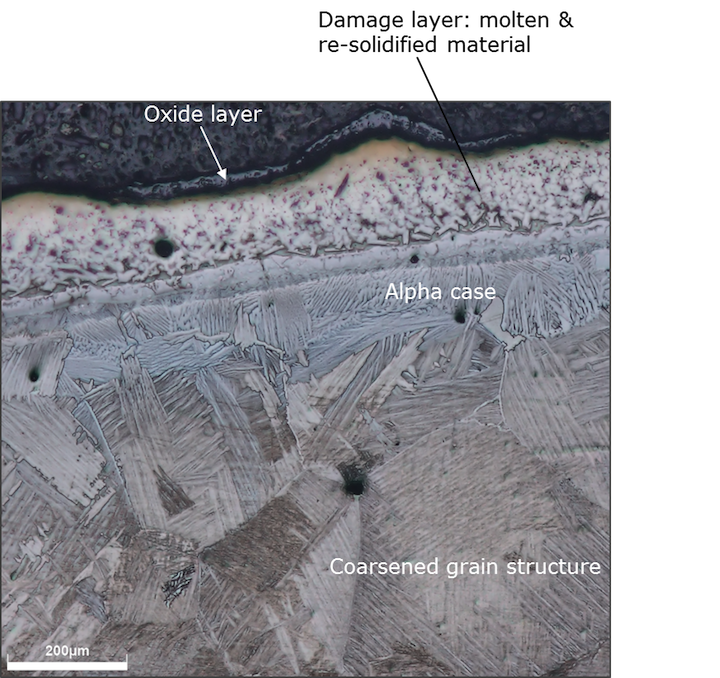 The oxide formed at the surface of AlLi2099 seemed to be more brittle than for AA7075. Modelling of CFRP is more complex as several parameters will influence their thermophysical properties such as number of plies, type of fibre, fibre orientation and their intrinsic properties. CFRP with matrix qualified for space showed great resistance to the Plasma Wind Tunnel testing. SiC showed great resistance to the PWT test. 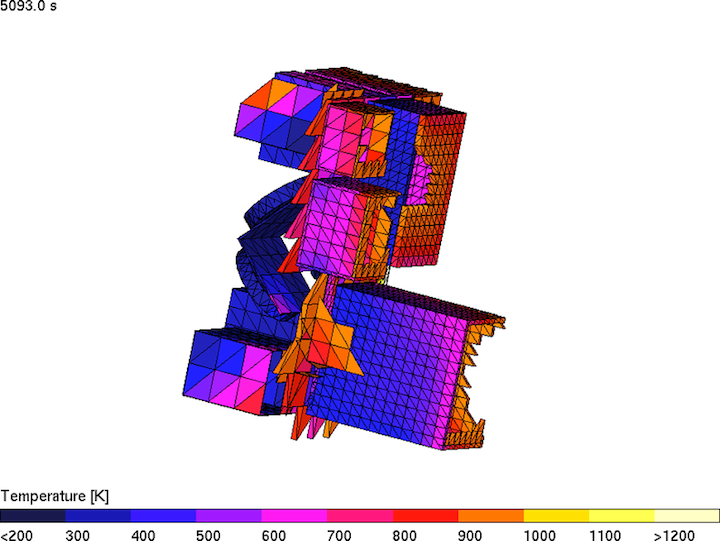 Uncertainty for this material is associated to potential brittle behaviour when mechanical stresses are induced in addition to the re-entry conditions. The results of the two TRP activities are being compiled within a database which will be accessible by European space industry. The final report of the two activities will also be made available for the European Space Industry.